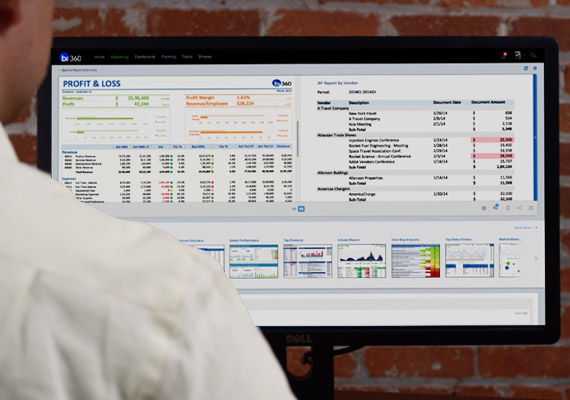 A data warehouse enables immediate access to financial and operational reporting capabilities, such as customized budgeting, forecasting and data entry. A top-tier data warehouse will have both pre-built integrations for popular Enterprise Resource Management (ERP) systems and custom modules, for flexibility. Beyond the standard financial models, non-financial pre-configured modules that organize your data can include: General Ledger, General Ledger Detail, Accounts Payable, Accounts Receivable, Capital (asset information), Payroll, Projects and Revenues. Pre-defined fields for the modules eliminate the need for customization, making the implementation process straightforward. However, when it comes to dimensions, especially regarding budgeting and forecasting, customization can be a critical feature. Namely, the ability to add new accounts and dimensions, or edit labels based on organization requirements, plays a key role in organizing data. The features of a data warehouse will make importing and exporting data a stress-free process. Both technical features and user-friendly aesthetics enable users to modify data without having to run reports or SQL queries. Data Warehouses with advanced functionality can organize data with even further automation. For example, a data warehouse can calculate foreign currency exchange by uploading daily rates, where the user can choose rate and account types. For multi-national organizations, features like Exchange Rate Administration, where a connector can import daily spot rates directly from the ERP system, can save time. Additionally, how a data warehouse is set up can also enhance its usefulness. When a data warehouse is managed with, for example, SQL procedure-based rules, rules can be loaded via an XML file that contains information about the parameters for the rule itself and the SQL (for the data manipulation). Custom rules come in handy when dealing with in many scenarios, including currency conversion, data aggregation, entity eliminations, allocations, data movement and other transformations. Essentially, a data warehouse can provide much more than simple data storage for an organization. On a technical level, a data warehouse can make a significant difference for an organization. Additionally, its user interface can also play an important role. With most web applications, in terms of priority, user-friendliness is almost comparable to the purpose of the application itself. Especially with applications like a data warehouse, where its primary function is organization/consolidation, ease of use allows the user to realize the full benefits of the application. First, importing and exporting information to and from dimensions and data modules should be seamless. When evaluating CPM tools with data warehouses, having an IT manager or technical consult’s input would be valuable. Another technical element that factors into data warehouse usability is a data viewer. A data viewer can filter, group and display data for each module, enabling an administrator to see and validate what is stored in the data warehouse at any time, and without having to perform any SQL queries or run any reports. Whether it’s in the interface or exported to Excel, to seamlessly access and surmise what data is actually stored in the CPM tool helps maintain a clean, updated database. Finally, as mentioned above, customizing modules and dimensions with simple name changes allows users to easily adjust the CPM tool to their specific needs. Overall, a powerful, configurable data warehouse makes reporting and budgeting with a CPM tool even easier. Ideally, a data warehouse that accommodates both pre-configured or defined modules as well as custom dimensions and modules, can save time, money and more than a few headaches. If you are struggling to find a tool that checks all of these boxes, or aren’t sure how to work with the tools you already have, Solver has a team of experienced professionals that can get your organization started in upgrading your data management process. This entry was posted in Uncategorized and tagged BI360, BI360 Data Warehouse, budgeting, business intelligence solution, cloud cpm, CPM, CPM Software, CPM Solutions, cpm tool, data management, data warehouse, ERP system, forecasting, SQL by Sofia Iatarola. Bookmark the permalink.